Study Bachelor of Commerce (Accounting) at the University of South Australia (UniSA). Information for International students. Build a strong foundation of knowledge in accounting combined with business, taxation, auditing, finance and sustainability. Develop strong reporting, decision-making, problem-solving, communication and teamwork skills. Learn about the economic, legal and political influences that impact global business. Prepare for a rewarding career in accounting and business advisory with an industry-accredited degree. Benefit from fully-flexible learning options including online study. 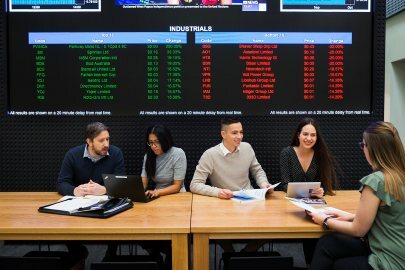 The University of South Australia Business School is in the top one per cent worldwide3 and has been awarded an overall five stars for excellence in the QS Stars Ratings 2018. Ranked in the top one per cent worldwide1, we are one of the largest leading providers of accounting and finance education in Australia and Asia. This industry-accredited degree will provide you with a strong foundation of knowledge in accounting combined with business, taxation, auditing, finance and sustainability. You will also learn about the current economic, legal and political influences affecting global business as well as develop critical reporting, decision-making, problem-solving, communication and teamwork skills. You will start with core courses in business. These will give you a solid grounding in important areas including accounting and quantitative methods for business; business law, finance, business intelligence and data management; and economics and marketing principles. 1. Students that have been assessed as completing a qualification in a business discipline at AQF Diploma level or equivalent and have received 36 units of block credit aren't required to complete this course. 2. Students who have received an AAFP Grant for completion of SACE Stage 2 Accounting* with a B+ or higher do not need to complete this course but may undertake a professional development elective approved by their program director within three years of commencement of their program, as outlined in their grant letter of offer. *or interstate equivalent to be determined by the School of Commerce. 3. Electives may be used to: complete an Experiential Elective (refer to Experiential Electives listing); undertake an international student exchange up to 18 units; to study other courses of interest offered by the UniSA Business School including the options provided in the Suggested Electives list; or complete a language study option. One elective may be chosen from outside the Business School. Course pre-requisites must be satisfied. In completing any elective identified as a "CPA subject" you will not qualify as a CPA. To qualify as a CPA, you must meet ALL the requirements of the CPA Program as set by CPA Australia. Students completing "CPA subjects" will incur additional fees from CPA Australia in order to sit CPA Australia's exam. This is a globally competitive degree respected for its quality and relevance to industry. Graduates are eligible for membership with CPA Australia, Chartered Accountants Australia and New Zealand, the global Association of Chartered Certified Accountants (ACCA), the Association of International Accountants (AIA), and the Chartered Institute of Management Accountants (CIMA). As a student, you'll benefit from our strong links with the accounting profession and professional industry bodies, as well as gain practical skills with computer simulation software using state-of-the-art technologies. You'll also have the opportunity to participate in a study tour learning about business practices, as well as political and cultural influences in other regions. Want to gain a postgraduate degree with just one extra year of study? 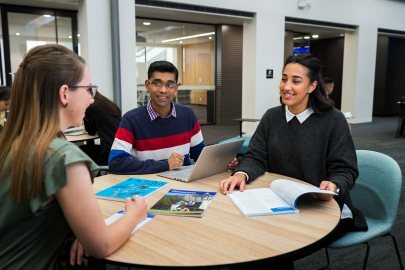 You can package the Bachelor of Commerce (Accounting) with the Master of Finance (Financial Planning) degree and graduate with two qualifications in just four years with our 3+1 Pathway to Masters program. This unique offering allows you to fast-track your studies, develop greater expertise and broaden your career opportunities. 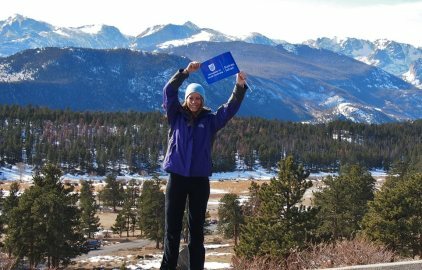 You will study a three-year bachelor degree and a one year master’s degree (typically two years) in four years by using your undergraduate electives. Learn more. Take a glimpse into Accounting and Finance at the UniSA Business School with graduate, Lilian. The program is accredited by the Chartered Institute of Management Accountants (CIMA) and recognised for maximum exemptions for an accelerated pathway into CIMA's professional qualification.